"This is … just maintaining existing levels. These are no extra frills. This is where we need to start," Coun. Kim Krushell on proposed tax increases to Edmonton property owners. The growing city requires a lot of money to meet the demands on infrastructure from population growth. You'll just have to factor in this little expensive when you buy your next property. If you divide your property taxes over 12 months this will be a small blip in the figures. The city also has a Monthly Payment Plan that is relative easy to set up and makes the tax payment a lot less painless. After checking my Google alerts it looks like the only thing in the news today is that people are leaving Alberta to buy houses in Eastern Canada. It is not an uncommon trend, look at real estate on the west coast where many of the buyers are Albertans looking for second homes or ready to move out of the blustery cold into a milder clime. 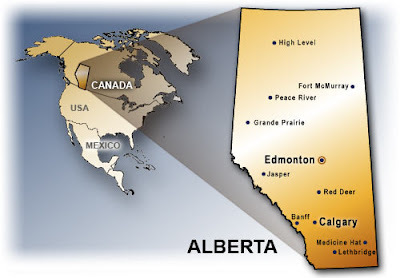 A friend of mine who moved to the island (Vancouver Island) after many years in Calgary said all her new neighbours are Albertans. The funny thing (I want to write irony but I'm not sure this is a clear case) is that many British Columbians are moving to Alberta for the stellar wages and low taxes and we all know about the large maritime population in the oilsands as well. One thing to be sure of is Alberta still boasts the highest income -- measured as gross domestic product -- per capita of any province and will continue to do so over the coming half decade. They may live where they like but Alberta is the place to get a great paying job. If you've ever wondered how your friend's pay cheques measure up to yours, you can take a peek at The all-Canadian wealth test on the Canadian Business site. Showing age, gender and provincial averages you can get a good idea of who is earning what where. Alberta looks to have the highest salaries across the board. My biggest question is the gender salary divide really that great? One other good read that my lead you to your millions is 10 laws of building wealth simple advice that makes a lot of "cents".